Netflix and Hasbro have partnered to bring a brand new “Transformers” origin story to the small screen. “Transformers” vet FJ DeSanto (“Transformers: Titans Return,” “Transformers: Power of the Primes”) will serve as showrunner on the series. Contributing writers include George Krstic (“Megas XLR”), Gavin Hignight (“Transformers: Cyberverse”), and Brandon Easton (“Agent Carter,” “Transformers: Rescue Bots”). Rooster Teeth will produce the original series for Netflix and Polygon Pictures will serve as the animation studio. “Transformers” is probably the weirdest and craziest major movie franchise — an admirable thing if you’re an aficionado of action-heavy genre trash like I am. 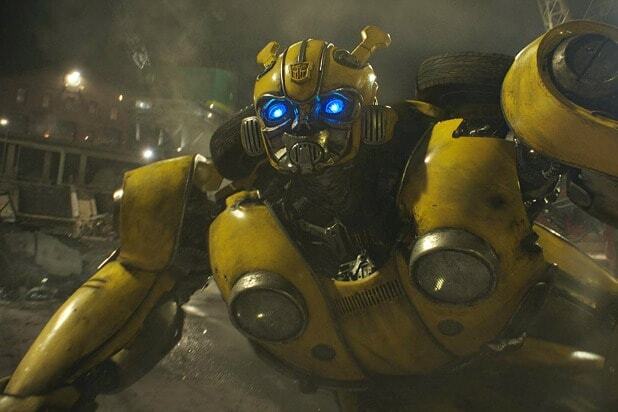 “Bumblebee” represents a departure from the Michael Bay movies, in that it’s generally calmer and more, well, normal. So how does the prequel stack up against the past decade of Bay’s robot madness? Everything about this one is just … too much. And the Arcee (RC) Twins, a.k.a. the Racial Caricature Bots, are simply inexcusable. Michael Bay’s libertarian screed is amusing enough, but kind of frustratingly straightforward. We prefer when these movies wallow in paranoid government conspiracy theories. Easily the most incomprehensible of the “Transformers” movies, but also the funniest — thanks in no small part to Anthony Hopkins having the absolute time of his life. It may also be the most visually striking of all of Michael Bay’s movies. By the standards of this franchise, the first movie was the closest to being a “normal” film. It’s wonderful, but not quite excessive enough. It’s more chill, more coherent and generally more sane than the other ones. And, yes, it’s delightful. Hailee Steinfeld is a miracle for the way she’s able to conjure up all those emotions acting against a CGI robot. The third movie, however, is exactly excessive enough, with a third act that’s just a solid hour of urban robot warfare. Plus there’s John Malkovich being weird and Frances McDormand as the requisite government stooge. To cap it all off, you’ve got the traitorous Leonard Nimoy-bot attempting to usher in the apocalypse from Trump Tower in Chicago — in 2017, no other “Transformers” movie feels that correct.